We’ve got some choreography on video so you all can practice at home. I have attached 4 videos to this show page. Thanks for working so hard all week! Don’t miss out on ordering your Spring Show T-shirt! The kids love wearing these shirts long after the show is over! Great memories! Please click on the “Order Here” button below to reserve your shirt today! We would like orders to be in by March 9th. 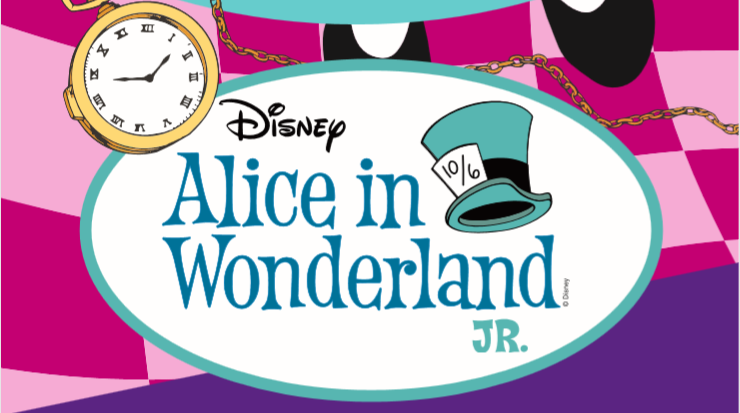 Congratulations and welcome to Spark’s production of Alice in Wonderland. We are so excited to get started this semester. We appreciate your patience with the casting process. It is a high priority for us that our students learn and grow, gain confidence, build friendships, and fall in love with the arts! Miss Katie has put a lot of thought into her casting choices. Please know that each character is important! Alice in Wonderland is a heavy ensemble show. Students who make up the ensemble will be singing, dancing, and participating throughout the show. In several instances, the ensemble characters are on stage more than the leads. Where: Classes will be held at Spark located at 21610 Highway 249, Houston, 77070. (Near 249 and Jones Road-we are in the same building as 24 hour Fitness on the back right side between Home Depot). The first day of classes the kids will spend some time getting to know each other, receive their scripts, and do a read through of the show. Please bring a snack and water bottle labeled with your name. There are no drinking fountains at the studio. We will have water available to purchase for $1.00. Please wear modest clothing that is comfortable to dance in. No short shorts or spaghetti strap tank tops. We comply with the Tomball ISD dress code. We recommend that the kids wear black jazz shoes. They will wear these for the performance and throughout the rehearsal process. You can purchase them at Fancy Dancer, Academy, or Payless. *If you do not have these for the first day they can wear socks. Tuition: Tuition is due. You can pay at the front desk with a check made out to Spark, or you may pay online. You can pay in full or through a monthly payment plan. Tuition is automatically drafted on the 5th of each month. We will be drafting accounts for this month tomorrow after all of the enrollments are completed. To access your account, please LOGIN. If you have not created an account, please create on HERE. Parent Meeting: We will be having a 15-20 min. mandatory parent meeting on Thursday, Jan. 17th at 6:40 pm. We look forward to seeing you there! Tech and Show Schedule: Tech and Show Schedule: Now that we have cast the show, we will be setting the times for our technical rehearsal and show schedule the week of April 29th-May 4th. We will let you know as soon as possible and will be updating this page. Click the button below to sign up. We appreciate all that you do. If you have any questions don’t hesitate to ask.